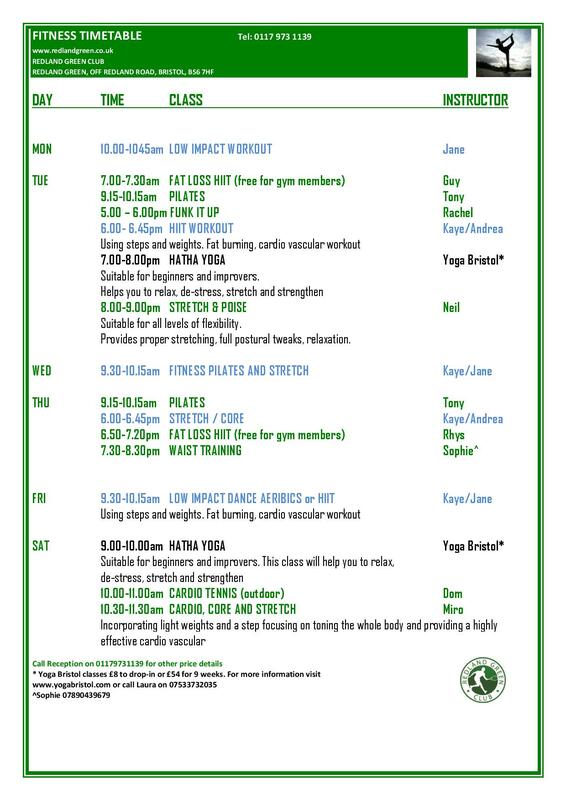 Start your fitness journey at Redland Green. We have created a welcoming and friendly environment to make people of all ages and abilities feel comfortable. You can also receive advice from specialist trainers and therapists. Our gym and fitness facility has a combination of free weights, suspension training, cardio and resistance machines. We pride ourselves on always looking at new ways to innovate our gym. Personal training is all about results. You will have to work hard, but ultimately the rewards will far outweigh the effort you put in. We are serious about making you feel better and healthier. Not just now, but for the rest of your life. This is Personal Training with an emphasis on personal. We will design bespoke exercise and eating plans that fit around your hectic lifestyle. If you like training outside we can use our extensive outdoor areas. We will not tell you to stop eating the things you enjoy but just find a sensible way to include them in your diet and make sure you put in the work to counter balance them. It really is that simple.